More than 5.1 million people in the US identify as fully or partially Native American or Alaska Native, according to the US Census Bureau. Up to 2.5 million identify as fully indigenous Native American or Alaska Native. Of that total, more than half do not live on reservations. Recognize that while today the majority of Americans are feasting that the majority of natives are starving or dying from alcoholism and depression, many of them are homeless, unemployed and alone. The International Work Group for Indigenous Affairs estimates that “per capita income in Indigenous areas is about half that of the US average, and the poverty rate is around three times higher”. The fact is that Natives are poor not because they failed at civilization, and misunderstanding the ways in which Native bodies are made poor and are criminalized makes it impossible to understand the structure of settler colonialism as a precondition for that poverty. You can’t heal from something that continually inflicts wounds upon you. The trauma is continually being inflicted, and must be recognized by the masses. There are only six mental health professionals on the entire reservation of Pine Ridge, which has a population of 16,000 to 40,000 tribal members based on varying government and tribal estimate. This has had a huge impact on the mental health of the youth (ages 12-24), who have been committing suicide in alarmingly and increasingly high rates. More than 80 percent of residents suffer from alcoholism. A quarter of children are born with fetal alcohol syndrome or similar conditions. Life expectancy – 48 years for men, 52 for women – is the second-lowest in the western hemisphere, behind only the Caribbean country Haiti. The tuberculosis and diabetes rates are eight times the national averages, while the cervical cancer rate is five times more than the US average. Colonial thought is literally killing our peoples. To be Lakota in this world is a challenge because they want to maintain their own culture, but they’re being told their culture is not successful. The system is overwhelmed. No matter which reservation you go to, that’s what you’ll find. Take time to publicly recognize this struggle and show your solidarity in a meaningful way through mutual aid and direct action. Show your support of the indigenous peoples by going to these places (with permission) and doing what you can to improve lives. Uplift and uphold native speakers and their culture, do not tone police or speak over a native voice on topics of their beliefs, cultures etc… You as an ally should help prioritize the issues that native people bring to light. Make it a regular thing to converse and discuss the topics and issues native people deal with daily. Don’t speak of us as if we are gone, speak of us as we truly are: strong, proud, fearless, independent, and everlasting. Buy land and donate it to a local tribe, help fundraise for native communities, bring teachers of trades and technology to give us the tools for communal growth and empowerment in a modern world so quick to forget and throw us away. We need the tools and support to come back from the decades of oppression and genocide. We need hope, help us obtain that once again. As previously stated, mental health professionals and training of them is sorely lacking on reservations. Changing the availability and access to these professionals will do a whole world of good for the residents. The idea of reparations is very open to what you can define it as specifically. The recognized definition is “the making of amends for a wrong one has done, by paying money to or otherwise helping those who have been wronged.” In this sense we are talking about the final step of Decolonisation and how we can achieve and build steps for that to happen. We have to change education on every level to restore the true history of this land. We do this by beginning with our children, that means you have to take time out of your day to teach your children these same lessons you yourself are learning. We need to raise the future generation to know only decolonial thought and to question and refute everything they are taught is a colonial narrative. Teach your children the real history of Amerikka. Amerikkan history didn’t start in the 1600s and we shouldn’t teach that anywhere. We have to change the idea that the white man is the norm on the continent, and holds the only accurate representation of history, and by doing so we will begin to reverse the narrative of white supremacist history. We achieve this by placing natives in positions where they can actively change whole communities through democratic procedures supported by allies, and by placing indigenous figureheads, chiefs, braves, wise men, and scholars into our common curriculum of learning. Why is it we must be forced to learn of the white mans Head Men but never the great indigenous leaders who saved their people from annihilation? We allow natives to become token speakers of future ideologies and paths of progress by not taking up space, and by elevating their platforms and messages high above the white man’s. We remove all images and documents of authority that represent or dictate the oppression they face including sports figures, statues of orchestrators of our genocide, and pretty much everywhere else the white man’s image is held in higher regard than the original inhabitants of the lands. We must renegotiate treaties where the colonials are the ones who get told where they can live and what resources they can use. This is so important because without restricting those, without decolonial praxis from the resources, they will use and abuse and destroy them as history has always shown. We pay through all of our labors the native communities back until this land is theirs again and the normal narrative is that of the decolonial one. Be the change you want to see, stop sitting on your hands and acting like you cant make a change, there is a way we can all decolonize our thought and it’s here presented to you from the labors of the indigenous peoples. Look at all this labor put out simply to make the world a better place. Through the actions of the few we can change the hearts and minds of many, through the actions of many we can begin to reverse the history of erasure and genocide and ensure to our indigenous hosts that we have their backs and we will never relent in our fight against colonial thoughts and practices. Wild plants have made up most of the focus of this blog. But what about “domesticated” plants, such as the annuals we grow in our gardens? How can we treat them that they behave more like wild plants – vigorous, resilient, low-maintenance, and more fecund and feral – yet which continue to supply our needs for flavor, nutrition, and ease of access? The answers, I believe, are found inside the genome of the seed where genetic diversity is found. I will explore the concept behind landrace gardening, which provides for many real-world examples of genetic diversity in action. The seed has found itself at the forefront of politics lately. 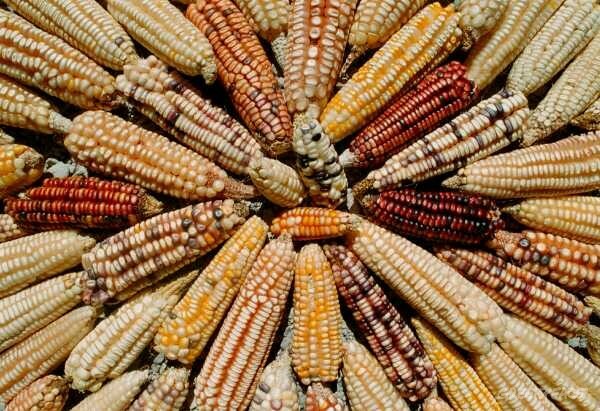 With corporate threats to food security and seed integrity like Monsanto and ADM looming large, the voices of the seed-savers have become powerful leaders helping to create a future of food security. A down-to-earth, humble pursuit at root, seed-saving is the cornerstone of food sovereignty but largely a lost art these days. The seed-savers have thus been positioned as more than just the saviors of seed but as the saviors of land-based culture in general. While the actions of the seed-savers are commendable, this is not a post about seed-saving, though seed-saving is a part of it. My focus here is rather on genetic diversity: one big issue, which can be broken down in many ways. I aim to show not only how we lost genetic diversity, but how we can regain it. I call it “decolonizing the garden,” because on the right hand it resists the corporate-based objectifying commodity-driven economy, and on the left hand it unspins some of the unquestioned premises and methods guiding the way we’re used to gardening. This special issue brings Palestine into conversation with Settler Colonial Studies, Critical Indigenous Studies, Critical Ethnic Studies, other critical scholarship and political practices. In doing so, we write in opposition to the way in which Palestine is often taken up and framed in the mainstream media and academic scholarship. In 1948, the Zionist settler colonization of Palestine culminated in the mass eviction of the overwhelming majority of the indigenous Palestinian people (over 800,000 people) who were expelled from their homes and forcefully dispossessed from their lands. They were unable to return and became refugees as Zionist militias attacked and destroyed villages, towns and cities across Palestine. Palestinians have termed this the al-Nakba (catastrophe) which signifies the theft and loss of their land and the establishment of the Israeli settler colonial state. During the 1967 war, what was left of historic Palestine (Jerusalem, West Bank and Gaza) became occupied by Israel. Palestine remains colonized as the Israeli state continues to militarily occupy and confiscate Palestinian land to build colonies for Jewish settlers, while exercising routine violence through massacres, bombings, mass incarceration, targeted assassinations, restricted movement, home demolitions, sexual violence, and implementing racist apartheid policies that fragments the Palestinian population into Bantustans. In writing about the ongoing settler colonization of Palestine, we start by recognizing our locations on the traditional territories of the Huron Wendat, Haudenosaunee, the Seneca and most recently the Mississaugas of the Credit River, and the waters that sustain life on these stolen lands. In contending with this positionality, we recognize that our locations are required by the Canadian settler state to maintain its settler project and as such it actively solicits our identification and participation in the ongoing colonization and erasure of Indigenous people. In this issue we also draw attention to some of the histories of forced movement and displacement that underlie our presence on these lands, and the ways our location in this settler state can be disrupted and transformed through alliances and relations of solidarity. Specifically, these traditional territories have been a central site in which Palestinians and their allies have advanced global solidarity with the indigenous Palestinian struggle, while simultaneously expressing solidarity and building ties with Indigenous peoples from Six Nations, Tyendinaga, and across Turtle Island (Krebs and Olwan, 2012, Juma’ 2007). Mike Krebs and Dana Olwan (2012) and others document this distinct local history of connecting the struggles against the settler colonial states of Canada and Israel, which we and some of the contributors in this special issue have been part of building for over a decade. This history is significant because Palestinians and their allies on these territories were building these relationships at a time when both of these Indigenous struggles were hardly recognized, well before the time of reconciliation (in Canada), and the popularization of the global solidarity movement with Palestine. This history of connection has produced its own conversations, political analysis, critiques, tensions, and praxis, which this issue is both informed by and seeks to consolidate and take forward. These ongoing political relationships center and are rooted in a responsibility to decolonial struggles on these lands, what Steven Salaita in his contribution in this special issue calls an “ethical imperative” which he reissues to the Palestine solidarity movement. Political intimacies (Lowe, 2015) between the Palestinian liberation struggle, Indigenous movements and other struggles are not new. Salaita reminds us that “dialogue between Natives and Palestinians goes back at least half a century” and suggests “the first substantive interchange occurred during the heyday of the American Indian Movement [AIM], when Native activists, like their Black Panther peers, looked to global liberation struggles for inspiration and solidarity, proffering both to anti-colonial movements in return” (2017, para 25). What is significant here is the way that such past and present relationships have disrupted and work against settler categories and imaginaries that have configured the native as always ‘disappeared’ or ‘defeated’, which has at times precluded solidarity across these geographies. This is not to deny that solidarity is difficult and that at times there have been tensions when forging ties between struggles (which have been written about by Amadahy, 2013; Bhandar & Ziadah, 2016; Kelley, 2016; Krebs & Olwan, 2012; Tabar, 2016), but we want to stress that by coming together through ethical responsibilities these movements also rupture the ideological structures, racial hierarchies and discourses of settler colonial states. Moreover, these settler colonial ideologies rationalize and sustain settler projects of land theft, ongoing genocide, and anti-black racism (rooted in the history of transatlantic slavery), and coercive labour regimes in a global geography, in which similar racial categories enable capitalist accumulation, exploitation, dispossession and white supremacy across different territories. Thus we and our contributors in this special issue emphasize and expand upon how creating ways of seeing across colonial ideologies and the racialized, sexualized logics that sanction dominance and state terror, is part of a necessary internationalist decolonial project to transform systems of power. As settlers on stolen lands, how do we navigate the complicated path of helping to heal the destruction and pain caused by our people’s colonization of other’s lands like Turtle Island, while also doing what is necessary to heal the source of this colonization which is our own broken relationships of culture with our ancestral places, peoples, and lifeways? The following list provides six critical actions for walking this complicated path. Three of these actions are centered on aiding the decolonization of Turtle Island and other lands by their Indigenous peoples. Three other actions are focused on creating real and meaningful connection and healing with our own ancestral peoples and places. 1) Return Indigenous lands, access, and resources back to Indigenous peoples so that Indigenous lifeway can be lived through real independence, and allowing for Indigenous peoples to heal themselves using their own cultural understandings. Land and resources should be returned to traditional, language speaking peoples if they are available – not those complicit with colonial governments or their tribal surrogates (like U.S. BIA Tribal Governments). b) Develop long-term, trust building relationships with Indigenous peoples. Based on these relationships, following Indigenous direction including submitting to, and defending, Indigenous jurisdiction and strategically leaving colonial citizenship and jurisdiction. It should be noted b) applies to all non-Native people, not just people of european heritage. 3) Leave Indigenous people alone – and strategically defend their right to be left alone. 1) Go home. Establish authentic relationships with Life in natural places in your home. Relationships with Life are based in Indigenous language, so…. 2) Learn your ancestral language. Indigenous language is the primary transformer of consciousness from euro-centric thought and philosophy to Indigenous thought and philosophy. This step cannot be ignored, evaded, or explained away. Learn your language! 3) Re-unite or re-join your people. ‪We must transform the consciousness of colonial “I” to the Indigenous “We” by reuniting or rejoining our people/s in europe. Authentic decolonization and cultural recovery cannot occur within the colonial egotism of “I”. It just doesn’t work that way. This is different than being the sole survivor of a people and working to grow one’s people again. In the author’s experiences involving both the decolonization of Turtle Island and the cultural recovery for people of euro-heritage, multiple actions from both lists occur simultaneously and strengthen each other. Other people of european heritage share the same experience – the building of authentic relationships with Indigenous people in resistance provides important experiential growth and motivation to recovering one’s own cultural identity. In order to further engage with the resources, the second Tuesday each month we’ll “deconstruct” one of the texts featured on POC Online Classroom. This month, we’re looking at Decolonization is not a metaphor by Eve Tuck and K. Wayne Yang. Wait! Before we start, let’s quickly define “settler-colonialism,” since it is used frequently in this article. Unlike other forms of colonialism, settler-colonialism is when colonists come not only to exploit resources and people, but to stay and “create” a new nation. This makes decolonial practices in the United States and other settler-colonial nations unique, because the colonists will never leave and there will be no “post-colonial” United States. Patrick Wolfe, a well known settler-colonial theorist, argues that settler-colonialism is not a historic “event” (as we typically think of colonialism), but is instead a structure. Its violences permeate every aspect of American culture and politics. To summarize the text in thirteen words: Land was taken, so decolonization does not occur until that land is returned. But what does it mean to do the work of decolonization? Does it mean centering indigenous knowledge or ways of being? How can land be “given back” in a settler-colonial nation, in which the settlers aren’t going anywhere? In this piece,Tuck and Yang address an issue that they see within discussions of decolonization: that it is often relegated to the metaphorical realm, enabling settlers to “move to innocence”. However, both white people and people of color can make “moves to innocence” that decenter indigenous peoples in these struggles and erase them in settler society, making decolonization even more difficult to attain. For white settlers, this often takes the form of “becoming” native (lowercase n). For example, it is a well known phenomena for settlers to claim indigenous heritage even if they do not have a familial or community connection (please see white people who are descended from “Cherokee royalty”). In addition, white people being adopted by/into Native American tribes is a common trope in U.S. literary history (please see Dances with Wolves or the Last of the Mohicans). Both of these work to erase actual indigenous people, instead replacing them with settlers who are somehow more “deserving” of being native than Natives are. This wanting to become and replace the Native is a very different racial construction in the U.S. than blackness. Because historically black people were property in the U.S., the authors argue that blackness is expansive, which brought about the historical “one drop rule.” Indigenous people in settler societies, however, are not “valuable” in the same way – in fact, they are a barrier to settlers access to land and thus must disappear.The erasure of indigenous people was/is both physical (through warfare, allotment, boarding schools, and other policies) and social (through adoption fantasies, settlers claiming Native heritage, etc.). Because of these distinct racial formations, struggles for black versus indigenous racial justice movements cannot and should not be collapsed, or the specific marginalization of each community may be overlooked. The authors note that this often occurs in social justice settings, in which decolonization is placed under the umbrella of social justice or racial justice, even if the unique marginalization of indigenous people is not specifically addressed. This allows racial justice activists to “move to innocence;” to claim inclusivity even while they refuse to address their own privilege as settlers. Similarly, non-indigenous people of color can be complicit in settler-colonial structures of power. The authors note that people of color often express the need to “decolonize their minds,” even if they are not indigenous people. Tuck and Yang call this “colonial equivocation.” Colonial equivocation enables people of color to remove themselves from the position of settler, a position of power and dominance in U.S. society. As the authors note, “for many people of color, becoming a subordinate settler is an option even when becoming white is not” (18). They argue that diluting the word “colonization” by using it as a replacement for any kind of racial oppression works to further erase indigenous people. As this text expresses, there is a lot of work to be done to decolonize the U.S. Though this piece is an obviously “academic” text, to me it is just as much about theory as it is about how to be an ally in decolonial struggles. It would be remiss of me not to mention that I did not agree with everything I read in the article. Even as an indigenous person who thinks myself to be very liberal, some points made by the authors made me slightly uncomfortable and seemed too “extreme” (I will not elaborate to allow readers to form their own opinions). However, I want to sit in this discomfort. This work will be challenging for indigenous people as much as it is for settlers and non-indigenous people of color. Because indigenous peoples and histories are so often left out and erased from school curriculum, policies, and other measurements of “existence” in U.S. society, work to decolonize and bring justice for indigenous peoples must be proactive, and in many ways, confrontational. By addressing some of the “moves to innocence” that Tuck and Yang discuss, decolonization becomes less daunting. When our society begins to recognize the worth, rights, and power of indigenous people, granting them the ability to control their lands and destiny becomes a more accessible idea, and perhaps even realistic. This important book on Land Education offers critical analysis of the paths forward for education on Indigenous land. This analysis discusses the necessity of centring historical and current contexts of colonization in education on and in relation to land. In addition, contributors explore the intersections of environmentalism and Indigenous rights, in part inspired by the realisation that the specifics of geography and community matter for how environmental education can be engaged. 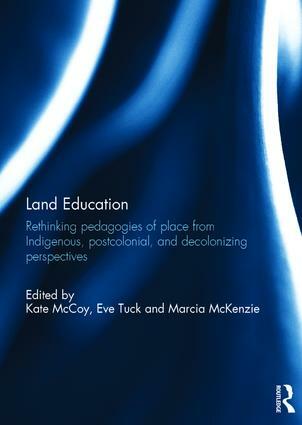 This edited volume suggests how place-based pedagogies can respond to issues of colonialism and Indigenous sovereignty. Through dynamic new empirical and conceptual studies, international contributors examine settler colonialism, Indigenous cosmologies, Indigenous land rights, and language as key aspects of Land Education. The book invites readers to rethink ‘pedagogies of place’ from various Indigenous, postcolonial, and decolonizing perspectives. This book was originally published as a special issue of Environmental Education Research. This paper introduces the special issue of Decolonization on land-based education. We begin with the premise that, if colonization is fundamentally about dispossessing Indigenous peoples from land, decolonization must involve forms of education that reconnect Indigenous peoples to land and the social relations, knowledges and languages that arise from the land. An important aspect of each article is then highlighted, as we explore the complexities and nuances of Indigenous land-based education in different contexts, places and methods. We close with some reflections on issues that we believe deserve further attention and research in regards to land-based education, including gender, spirituality, intersectional decolonization approaches, and sources of funding for land-based education initiatives. Abstract: International refugees and dissidents share a common fate in relation to the United States, particularly with respect to their precarious recognition by the officialdoms of U.S. Immigration at the border. The history of border imperialism in the 20th century is important to understand as a prelude to the current strife facing American border security today. As the nation grapples with the humanitarian politics necessary to processing tens of thousands of child migrants from Central America, the policy debate is rooted in a cultural history. In response, the ultra-conservative “invasion” rhetoric is revealing. It is important to examine the defining features of a nation-state with respect to the transnational characteristics of social exchange. Economic inequality, and partisan politics set American society apart from within, and without. The cultural history of international dissidents censured by U.S. Immigration is significant, opening a context for understanding the narrative of child migrants through news analysis, and literary research. With respect to Indigenous Peoples, and decolonization, the historic crises of U.S. Immigration are held under special scrutiny. The fundamental humanitarian assumptions of border protection, and the mythos of America as an immigrant nation of multicultural syncretism are herein questioned, and critiqued. In North America, and elsewhere around the world, for example in Mediterranean countries such as Greece and Italy, there is a growing antipathy for migrants. The United States and Canada are not alone in the increasing volume of political distaste for migrants. In the United States in particular, there is an inherent contradiction within this debate, and this crisis of asylum, as concerns the identification of migrants as invaders. With unabated trends favoring economic globalization, such as the overshadowing precedence of international free trade agreements, wealthy nations have a greater responsibility to receive economic migrants, and equally, forced migrants fleeing life-threatening persecution. To deny this responsibility is to reject the foundations of humanity, and to delegitimize the standard of national boundaries as security zones. Instead, national boundaries fulfill their original purpose, militarized demarcations, where the history of an invasion has simply taken another form. In other words, the misperception of migrants as invaders exposes the fundamental myth of the modern nation state as a cultural, social, political, or economic distinction. As is most apparent outside of North America and Europe, however within as well, cultural, social, political and economic phenomena observably transcend state boundaries, merging in varying forms transnationally. Similarly, all people, as such, are a part of the transnational social capital that exists in every nation individually, and collectively throughout the globe. The inequalities of the global marketplace are manifest in the story of the modern immigrant. Immigrant is a very different term than migrant. With its special legal, political, social and cultural ramifications, immigration is a process whereby a foreigner resides permanently in a country other than that of their origin. Immigration also connotes official identification, as recognized by the country wherein one is immigrating. Whereas migration is a primordial concept, immigration entails the officialdoms of international law, and domestic policy. Anti-immigration is the result of geopolitical insecurity, while deeply rooted in forms of racism steeped in multigenerational, and colonialist inequality. The prevailing myth of nationalism, as a harbinger of progressive social values conceived during the European Enlightenment, purveys concepts as elusive as freedom. In modern Greece, and in the European Parliament today there are openly anti-Semitic officials who hold seats of government, and who won those seats based on an anti-immigrant platform (Cossé, 2014). [i] Unfortunately, in this extreme case, anti-immigrant policies are aligned within an unfounded, racist political paradigm. 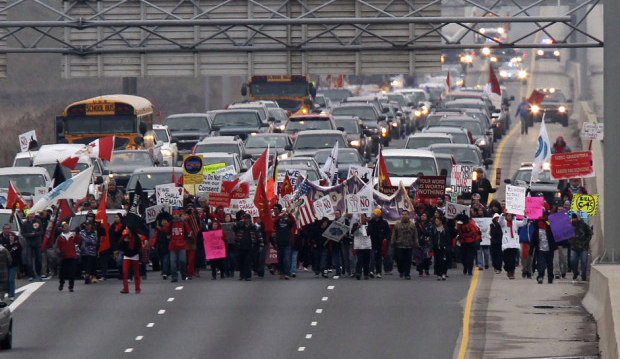 In the United States, the racism inherent in anti-immigration rhetoric is no less apparent. Power politics, as well as propaganda-style journalism, as with belligerent profiteering, merely exposes the ugly continuance of colonialist exploitation at the expense of migrants. Across the globe, migrants are exploited, often to advance racism, militarism, or politics in the name of extremist nationalism. Migrants are exploited because they are often the most vulnerable to the economic abuses that dominant societies depend on to expand. The migrant is not an invader, and has never been. The migrant simply embodies the human will to live. 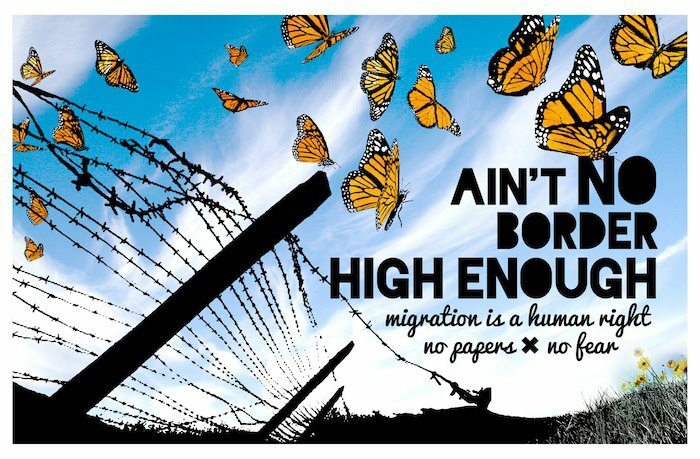 The institutions of immigration, namely border control, and the geographical, political, social, and economic demarcations that are founded on the ongoing histories of conflict, are the bastions of imperialism. In the wake of two horrific world wars, American Quakers coined the phrase “speak truth to power” as part of a campaign for peace. The truth they wished to voice to the American public, its leaders, and to power itself was a familiar one: “love endures and overcomes.” Speaking truth to power stood in contrast to the silence of cold obedience as exemplified by the professional soldier. Here, the Quakers follow a long-standing tradition in western political thought of identifying speech with agency and disobedience. This view of politics extends back to the ancient Greeks and reflects the guiding intuition behind contemporary democratic institutions. Throughout that long history, the disruptive potential of speech has been a mainstay of emancipatory movements, struggles for the full inclusion of the marginalized, and the fight for basic equalities that have been historically denied. Dominant communities have accordingly sought to protect their privilege by limiting the ‘voice’ of groups who seek to speak their truths. But a very different strategy of power is deployed when contending with groups who seek collective autonomy as opposed to equality and inclusion. In the past half-century, settler colonial society has come to realize that excluding Indigenous peoples and their perspectives from public discourse has not stopped them from speaking to one another or from strengthening their nations. These nations are, of course, rooted in the very lands over which dominant society unilaterally asserts its claim of sovereignty. Formal exclusion has proven a limited strategy. And so Indigenous nationhood movements have inspired a distinctive and seemingly counter-intuitive response from dominant society: an invitation (sometimes even a demand) that Indigenous peoples speak truth to power. Why would colonial institutions accommodate and in some cases encourage the voices of Indigenous peoples? Because at its core, what settler society fears more than the disruptive potential of Indigenous speech is the inevitability that Indigenous peoples, once released from an imposed duty to justify themselves to the colonizer, will turn that massive investment of energy back into being truth to power. Being truth to power is reflected in those embodied practices of love for community and for the land, diverse practices that undermine the homogenizing violence that sustains colonial privilege. Accordingly, colonial power increasingly works through sites of dialogue designed to sap the vitality from these embodied practices of autonomy. The goal is to lift Indigenous peoples out of communities and off the land and drop them into a permanent state of explanation, a limbo wherein they are compelled to talk endlessly to settlers about community and about land. When Indigenous peoples are not engaged in being truth to power, then, it is often because they have been induced to explain and justify themselves to a colonial audience. They have been tireless and resilient at the podium, these elders, activists, advocates, academics, lawyers, artists, teachers, and children. They have tapped every shared register and common understanding available in the hopes that genuine reciprocity might drip, however slowly, into the rusted tin can of colonial institutions. They have argued for nationhood through the abstract lens of high philosophy, through the concrete immediacy of violence against women, and from every location in between. They have deployed the arcane legal language that colonial courts revere as authoritative and they have attempted to transpose Indigenous perspectives into every idiom that the general public might understand. They have been repeating the message at every opportunity and in every institution be it the media, grade schools, universities, courts, legislatures, international governance bodies, conferences, committees, commissions, corporate boardrooms and negotiating tables. Indigenous peoples are prompted to reach across the colonial abyss by the urgency and immediacy of threats to health and well-being. Despite the fact that these efforts have led to some important gains, from the perspective of settler colonial power there are advantages to promoting still more dialogue. For one, such exchanges are an important method of maintaining surveillance and control. As mentioned, they also sap and divert vital energy. But there is another, less obvious reason why settlers champion more robust discourse: Indigenous ‘voice’ is the primary source of narcissistic settler redemption.